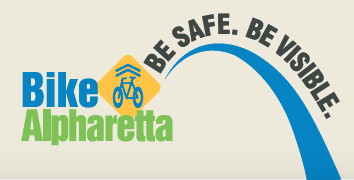 Bikes For Kids Donations – November 16-22 at any fire station in City of Alpharetta! Great job by the jersey committee on design and order process for the new jerseys. Orders closed in August, but will reopen again in October! All August orders will be available for pick up in a few weeks from Endurance House Alpharetta. @bikealpharetta now has 500 followers on Twitter! Many of our members are “Goats”, “Dogs”, “Bagel” riders and “Crabapple” riders. We love all these cycling groups! Congratulations to Michael and the staff at Alpha Bikes for national recognition this year as a top bicycle shop in U.S.